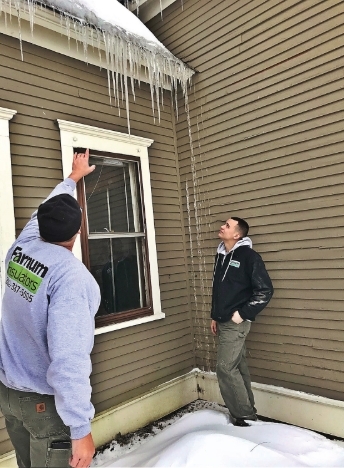 Farnum Insulators serves Windsor VT homeowners and businesses with Spray Foam, Cellulose, Basement, Blown-in Insulation services. 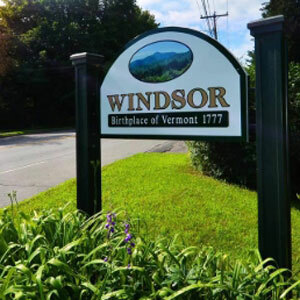 Windsor, Vermont home insulation experts offering spray foam, cellulose, basement, blown-in insulation services – call us at (802)387-5005. If the drywall is already up, we can remove the siding and blow the insulation into the walls. With the siding removed, Chad blows the insulation into the walls from the outside. Windsor, VT is a town in Windsor County, Vermont, United States. As the "Birthplace of Vermont", the town is where the Constitution of Vermont was adopted in 1777, thus marking the founding of the Vermont Republic—a sovereign state until 1791 when Vermont joined the United States. Over much of its history, Windsor was home to a variety of manufacturing enterprises. The population was 3,553 at the 2010 census. Windsor village began development at the end of the 18th century and achieved importance in Vermont history as the location of the framing of the constitution of Vermont. It is known as the birthplace of Vermont, where the state constitution was signed, and acted as the first capital until 1805 when Montpelier became the official state capital. As a Certified Contractors Network member company, Farnum Insulators is committed to observing the highest standard of Integrity, Frankness and Professional Responsibility in dealing with Windsor, Vermont homeowners and business owners.